Brookdale Park, designed by the world renowned Olmsted Firm, is the fourth largest park in the historic Essex County Park System (est. 1895 as the first county park system in the US). With a total of 121 acres - 78 acres in Bloomfield and 43 acres in Montclair - Brookdale is a serene oasis in an otherwise densely populated area. Brookdale Park offers both passive and active recreational activities as well as picturesque vistas. Trails for walking and running, lush groves and extensive lawns, sports fields, track facilities, tennis courts, an archery range, a playground and stadium with grandstand are just some of the numerous attractions that make Brookdale Park a magnet for nature lovers, families, and physical fitness enthusiasts for miles around. One of the park's most notable attractions is the Essex County Rose Garden (est 1959) which features more than 100 species of roses. 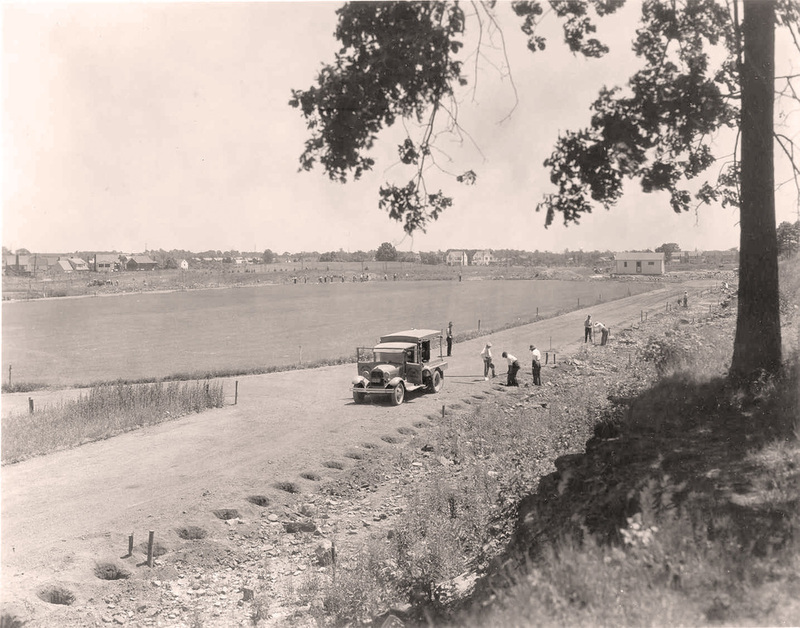 Photo taken circa 1935 during construction of the original running track in Brookdale Park, Essex County, NJ. 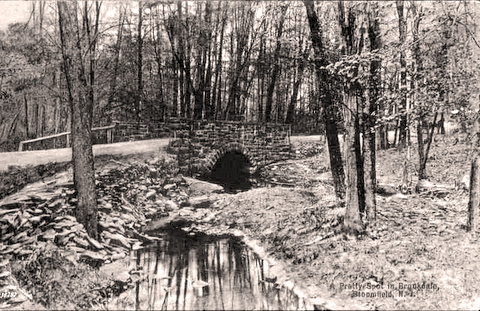 Brookdale Park is located in what once was a gathering place for the Lenni Lenape Indians. During the 17th Century, Dutch settlers transformed the area, then called Stonehouse Plains, into farming and grazing land. In the 1800s, when the area got its own post office near the Third River, the neighborhood came to be known as Brookdale. In 1928, land purchases began for the park but with the onset of The Great Depression, construction schedules slowed as money was needed elsewhere. 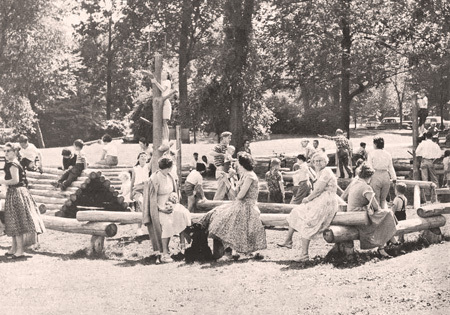 As unemployment spread, agencies such as the federal Works Progress Administration (WPA) were organized and subsequently provided most of the funding and labor needed to construct the park's landscape. 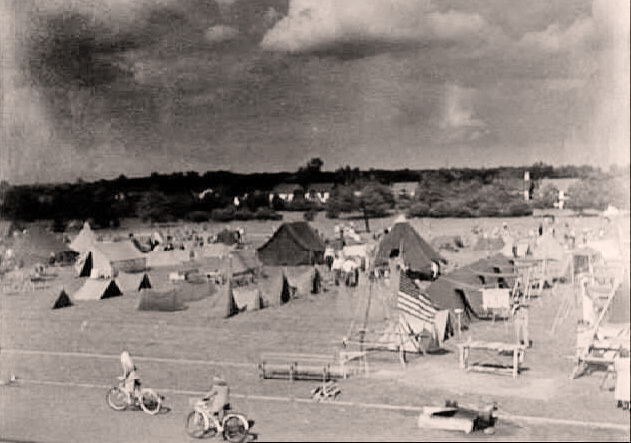 Brookdale Park was considered completed by 1937 but most planned structures - Field House, Casino, Dancing Pavilion and Band Stand - were never built.